On Saturday, May 14, 2016, Hamilton Fine Art & Auction and the Master Chorale of South Florida friends and supporters will gather at ArtServe for “Spring is in the Air” Auction & Reception. This delightful fundraising evening of wine and heavy hors d’oeurves will be followed by an exciting live auction of fine art originals and limited-editions, sports memorabilia, jewelry and vacation packages. Bid on 20th Century Masters Dali, Chagall, Picasso, and Renoir. Contemporary masters include Tripp Harrison, Todd White, Shana, Tadeo, Tarkay, Lauri Blank, and many more. All price ranges-Something for Everyone!! The Spring Is in the Air Auction & Reception will start at 7 pm, with the live auction beginning at 8 pm. Ensembles from the Master Chorale will entertain with selected works from this season and a preview of next season. 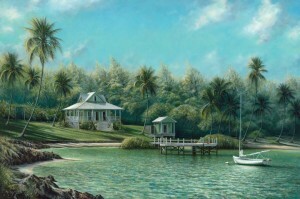 By attending you will also have a chance to win the Grand Door Prize Tripp Harrison “Turtle Cove” a beautifully framed signed, limited-edition. ArtServe is located at 1350 E. Sunrise Blvd in Fort Lauderdale. Ample free parking is available behind the building. The Master Chorale is South Florida’s premier classical choral ensemble. The talented singers, many of whom are professional singers and musicians, volunteer their time for the satisfaction of performing the most challenging choral repertoire at the highest artistic level in Broward, Miami-Dade and Palm Beach counties.